You Don’t Just Stay Here, You Enjoy Your Stay. 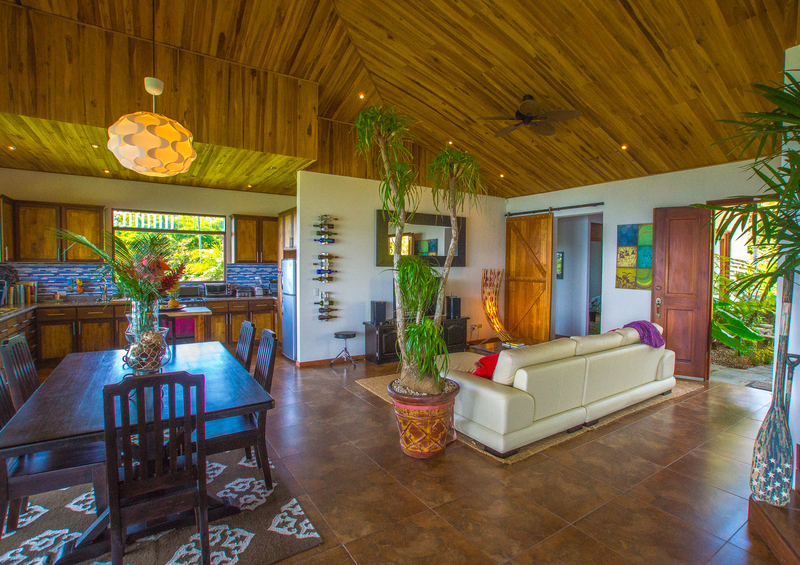 When you stay at the Casablanca Costa Rica Villas, you’ll enjoy the perfect blend of fun, relaxation, and value. As a courtesy to our guests we will never have two quests on the property at the same time. So just choose the home that best suits your needs and enjoy all that Costa Rica has to offer. The estate was designed as a multi split level property allowing incredible views from all homes and creating additional privacy as the Junior Villa sits 20 feet below Villa I and Villa II is 70 feet below the Junior Villa. 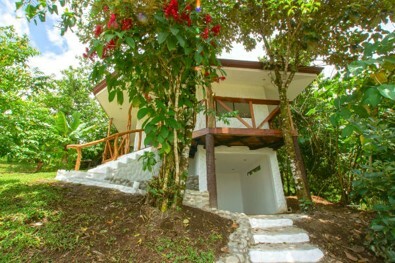 We have just recently planted our hillside with a wide variety of tropical fruits that our guests are welcome to enjoy. Papaya, Mango, Star Fruit, Pineapple, Avocado and limes just to name a few. 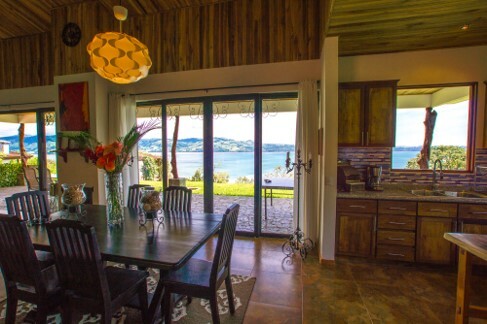 The home is located in a gated community shared by only 4 other homes. Each house is sitting on multiple acres, again making for incredible privacy. The homes feature separate, state of the art security systems. All operated by a hand held remote control “the size of a keyless car alarm”. Whether you are in town for dinner or a day on the lake you will have peace of mind knowing that your personal effects are safe and secure. 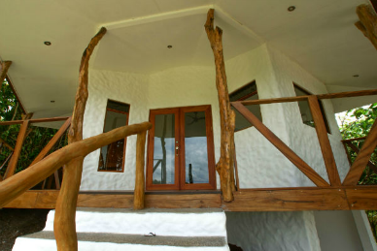 Casa Blanca at Lake Arenal is only a mile from the town of Nuevo Arenal. 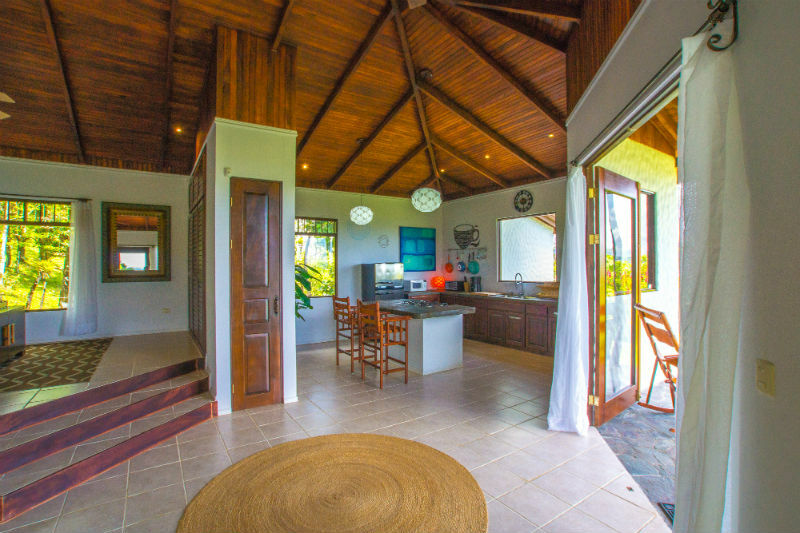 We loved the seclusion of the property….inside and out spacious…nice furnishings..wildlife visited us!….stayed for 3 nights…enjoyed the area…Gingerbread Restaurant nearby is a must experience! Marc and Ty were both great to work with and over the top willing to share pointers with CR and the area. Would stay here again when in the area! 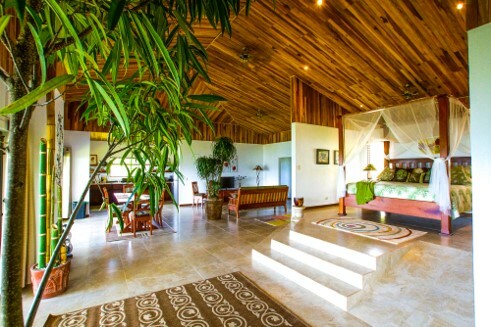 We stay in Marc and Michelle’s paradise every chance we get when we are in Arenal. Every time we come, they have added another amazing item to the Casa Blanca Compound that just keeps making it better and better! My wife and I just got back from our maiden trip to Costa Rica. Our research indicated that the Arenal area is one that we might be interested in moving to. When we were looking for somewhere to stay, Casa Blanca immediately became our #1 pick….and it was absolutely breathtaking. All you have to do is savor the food, and enjoy quality time with your friends and family doing the things you love most. Costa Rica is a pioneer in canopy exploration, where thick branches serve as platforms for the adventurous traveler, more than 100 feet above the jungle floor. Costa Rica presents the opportunity for world-class rafting in a tropical paradise. With year-round warm water you can enjoy water rafting any season.